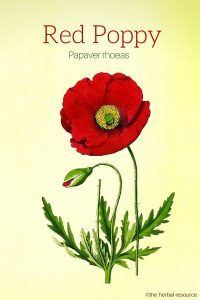 Other Common Names: Corn poppy, common poppy, common red poppy, field poppy, flanders poppy, coquelicot (French), amapola (Spanish), Mohn (German), deplasól (Icelandic), silkkiunikko (Finnish), kornvalmue (Norwegian), kornvallmo (Swedish). Habitat: Red poppy is originally native to southern Europe, North Africa and temperate regions of Asia, but can now be found around the world where the climate is suitable. The plant thrives best in dry, nutritious and mineral rich soil and is often found close to railways and in cultivated fields and fallows. Red poppy is also popular as an ornamental plant in gardens and parks. Description: Red poppy is an annual plant that belongs to the poppy family (Papaveraceae). It is 30-80 cm high with thin, erect and branched hairy stalks and pinnately lobed leaves. The flower-stems are long, blue-green and grow from the leaf axils. The flowering takes place from June to August and the red four petal flowers have a special opium-like scent when they are fresh, but odorless when they are dried. The fruit is a 1-2 cm long, oval and hairless capsule containing several dark red seeds. All the green parts of the plant are hairy and secrete a white latex if damaged. Plant Parts Used: It is the flowers and seeds that are used as herbal medicine. The flower petals are harvested from newly opened flowers in a dry weather when the dew has evaporated. The petals should be dried as quickly as possible in shade at temperatures up to 40 ° C.
The dried petals can then be stored in sealed containers that are kept in a dry place. They are mostly used in extracts, herbal teas, and cough syrup. The seeds are edible just as the seeds of the opium poppy (Papaver somniferum) and are collected from mature seed capsules. They are dried and used whole or ground. The seeds can also be pressed in order to produce an oil that can be used in cooking. Active Ingredient and Substances: The flower petals contain alkaloids (papaverine, rhoeadine, isorhoeadine, rhoeagenin to name a few). In addition, the plant contains flavonoids (anthocyanin, meconic acid and cyanidol), polysaccharides (mucilage) and tannins. The alkaloids in red poppy are similar but not identical to those found in the opium poppy. They have a much weaker effect and are considered to be non-addictive. The red poppy was well known and popular in ancient Egypt and was often depicted on murals and relics. Its seeds have been found mixed with barley grain in Egyptian artifacts dated back to 2500 BC. Ancient Greeks and Romans used the red poppy seeds as food, and through the ages extracts of the plant have been used to relieve pain. 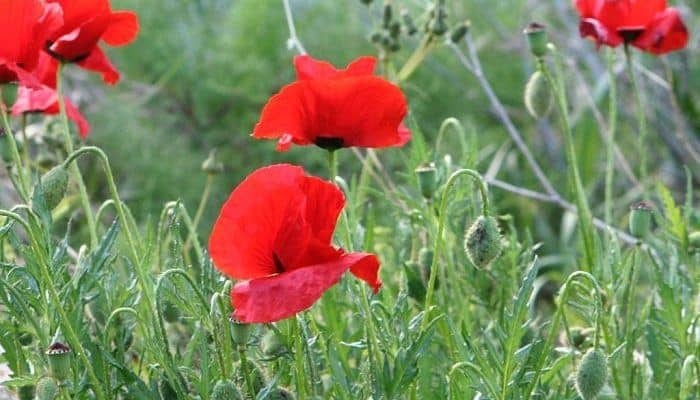 The red poppy flowers have for a long time been used for its weak anesthetic, analgesic, relaxing and mild sedative properties. The constituents present in the petals are also responsible for the herbs softening and mildly expectorant action and explains its uses in herbal medicine to treat throat irritations, a cough, hoarseness, bronchitis, asthma, and tonsillitis. The herb is often combined with other herbs like marshmallow (Althaea officinalis), liquorice (Glycyrrhiza glabra), mullein (Verbascum thapsus) and mallow flowers (Malva sylvestris) as a remedy for common ailments of the respiratory system. The herb is also applied as a treatment indigestion caused by anxiety and stress, insomnia and restlessness. 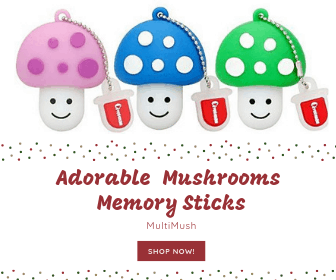 It is regarded to be especially beneficial for children, the elderly and people who can not tolerate other medications or when other treatments have not been effective. 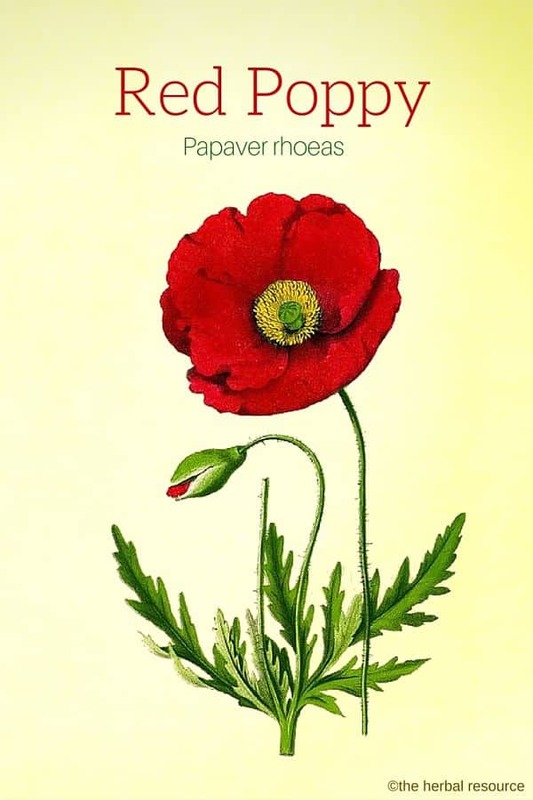 Furthermore, red poppy seems also to have a soothing effect and may help to promote a good and peaceful sleep. The herb is commonly used in the form of herbal tea in that regard. The red poppy seeds can be eaten raw or cooked. They have pleasant nutty flavor and can be sprinkled on bread and cakes or added in soups and salads. The seeds are rather small but relatively easy to harvest from the large seed pods. They are completely safe to eat because they do not contain the toxic alkaloids found in the green parts (leaves, stems, and stalks) of the plant. The seeds can be pressed to produce an excellent oil which can be used as a substitute for olive oil in cooking or used as salad dressing. The flower petals are often added to herbal teas and potpourris to give red color. The red dye in the petals has been used to add color to wine, and in the pharmaceutical industry to color pills. People have tried to use the flowers to dye fabrics and clothes red but it seems that the color does not last very long. As a tea 1-2 teaspoons of the dried petals in a cup of boiling water and simmer for 10-15 minutes. The recommended dosage is one cup, three times a day. As a tincture: 2-4 ml, three times daily. For all commercial preparations containing red poppy, the manufacturer’s instructions should be followed. Cough syrup recipe for children: Add 100 g of the dried petals in 1/3 of a liter of boiling water with the juice from a 1/2 lemon and then allow it to stand for eight hours. Then add 2.5 kg of sugar and allow it to simmer for a while (10 to 5 minutes). The cough syrup can be used for children up to 15 months using 5 ml (1 teaspoon) daily. For older children 10-30 ml (2-6 teaspoons) daily. Apart from the petals and seeds, all parts of the red poppy are slightly toxic. There are no reports of contraindications or side effects when the herb is used properly.